The Hotel Piolets is situated in the centre of Soldeu, just 100m from the main gondola, 600m to the ski school meeting point and literally 50m from the nearest shops, bars and restaurants. 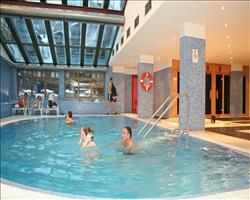 This hotel offers a great range of facilities including an indoor pool and wellness area. The hotel's bar/terrace which overlooks the slopes is a popular meeting place after a day on the mountain. Child discount: 25%. Call us for more details for more information. Half Board. Buffet breakfast and buffet-style evening meal with show cooking. Christmas & New Year Gala meals include wine & Cava. We update Hotel Piolets (Soldeu)'s details often, but facilities do change. e.g. some extras listed by the supplier as "free" or included might only be for the first time you use them, or for one time per party, then charged for further use. If any specific feature is essential to your holiday, make sure you ask us to confirm the details of it before you book your holiday. Soldeu and El Tarter lift pass price last reported as 240 € (adult 6 day). Ask for a quote when booking Hotel Piolets (Soldeu). Piolets Park & Sp... Soldeu and El Tarter Andorra, Dover Ferry 15th December. 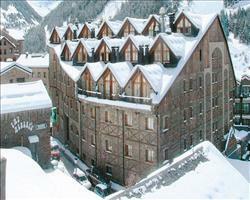 Hotel Piolets Soldeu and El Tarter Andorra, Dover Ferry 22nd March. "Better if use of spa was included"
Incredible week in Soldeu! The hotel was really good overall. The food was incredible – a huge buffet where you can choose everything you like, with different food every night which we loved. They gave us a lunch to take with us when we left which was another plus. 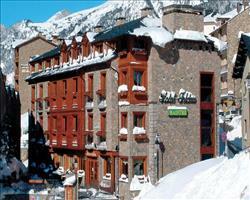 The location was good, the ski bus service from the hotel was fine, we had no problems there! We were pleased with our room and pleased with the view. The beds were comfortable. A little disappointed that the room looked a bit tired… There was nothing wrong with it, you could just tell that it hadn’t been refurbished for a time. I think the official photos obviously show the best room! The rest of the hotel was fantastic though. We used the spa which was amazing, it was a shame we had to pay extra for it though. We’d have happily paid more for it to all be included in the price for the week, rather than having to pay each night.